See also Wikipedia's article about "Frederick Augustus Porter Barnard". Frederick Augustus Porter Barnard was Columbia's 10th President (1864-1888), and probably the most important figure in Columbia history that you know nothing about. "Admirable Frederick" had the double misfortune of being far ahead of his time, and giving his namesake to the women's college that bears his name, resulting in a much stronger association with a school that was founded after his tenure, than the one he transformed. Barnard was the first Columbia president to have been a career academic, having studied mathematics at Yale, and then serving as the president of the universities of Alabama and Mississippi, before his abolitionist whig personal politics became a liability in the slave south during the Civil War. Barnard was responsible for almost single-handedly dragging Columbia, kicking and screaming, into the future of higher education. Whereas Columbia had been a sleepy commuter college for New York City's Anglican community when Barnard took his post, he left it a rapidly rising university, a trajectory that it would maintain for the next 40 years. Barnard had seen the future of higher education in Germany, where Universities served as centers of research and training grounds for professional academics, as opposed to finishing schools for teenagers of the priveleged. 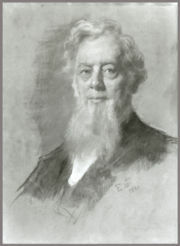 Barnard submitted his resignation in May of 1888, citing his failing health. Barnard was the first of what historian Robert McCaughey has called the "College Skeptics", administrators whose attitudes towards Columbia College and undergraduate education were hostile at worst, and ambivalent at best. Barnard advocated that CC be gotten rid of, as it only interfered with the far more important mission of a premier graduate institution. If the college had to stay, it should at least be more useful, and offer admission to women according to Barnard. While the trustees balked at these proposals (as they did at many of Barnard's proposals before grudgingly agreeing), they established an independent women's college in 1889, and named it Barnard College. ↑ Columbia Spectator, 24 May 1888. This page was last modified on 8 May 2013, at 23:38.